I prayed the above at the tail end of my previous post, “ONE Thing“, and it remains the cry of my heart today. In “ONE Thing” I shared God’s call to offer Him my heart, even before my hands, as Mary had. She sat at Jesus’ feet. With my heart more receptive and my hands emptied to receive from Him, I was being transformed from the inside out like never before. For the first time I was realizing how much I had clung to my identity in the first Adam and began to hear Jesus say to relinquish my grasp and embrace my new identity in Him–A NEW CREATION IN CHRIST! 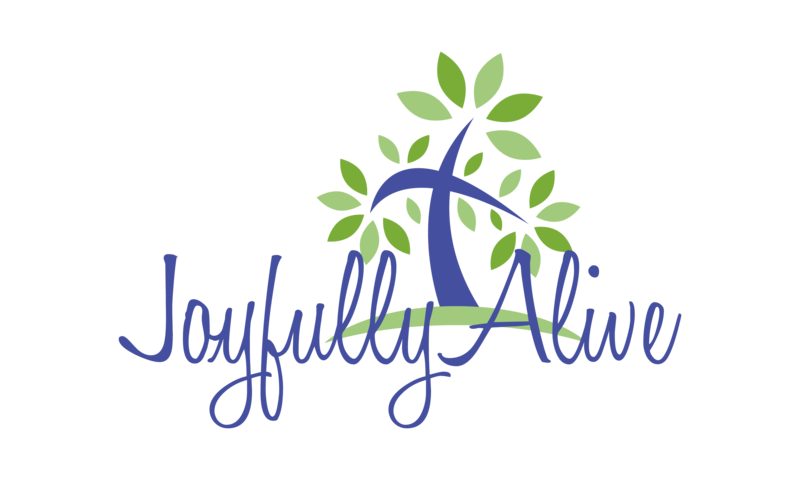 Here I bear my soul with you once again, Prayerfully inspiring you to live JoyfullyAlive in Him. My identity was made new, But for years I still clung to the old. Though He pledged Himself to me, With more than a ring of gold. I held on to what was familiar: The shame, the pain, the guilt. My new identity came by way of His death. He died to relinquish our shame! Whatever this world may bring, His love will still remain. 1 Corinthians 15:45 “Thus it is written, “The first man Adam became a living being”; the last Adam became a life-giving spirit. 46 But it is not the spiritual that is first but the natural, and then the spiritual. 47 The first man was from the earth, a man of dust; the second man is from heaven. 48 As was the man of dust, so also are those who are of the dust, and as is the man of heaven, so also are those who are of heaven. 49 Just as we have borne the image of the man of dust, we shall also bear the image of the man of heaven. Below is a poem from my 2007-08 journal less than a month into my “living Mary-ly” journey. spoke the Great I AM! Eve from Adam: woman from man. When the second Adam descended into flesh as a Son. Now I stand as a woman rebirthed from above. God put Jesus to sleep as a testament of His love. From His blood that was spilt. While the first gave birth to death and guilt. Of the Lover of my soul. Can compare to this love I have found. In exchange for Him, I cast them down. Just look the other way? So I have room for what’s most sweet! While the thief lurks to kill, destroy, and steal. I’m past wearing the wedding veil. To Him I have wed.
Of this spiritual union He is the head. Spoke the Great I AM on that day. …on the 31st of May! The below verse speaks of how KNOWING and EXPERIENCING our Second Adam ushers in great joy! Like the above poem, it serves as an invitation to relinquish your hold on your former identity in the first Adam and embrace your newness in the “second”–Jesus, Messiah. Let’s allow Him to draw us deeper, because in so doing, we will reap a harvest of righteousness, peace, and live joyfullyalive in HIM! 6 When we were utterly helpless, Christ came at just the right time and died for us sinners.7 Now, most people would not be willing to die for an upright person, though someone might perhaps be willing to die for a person who is especially good. 8 But God showed his great love for us by sending Christ to die for us while we were still sinners. 9 And since we have been made right in God’s sight by the blood of Christ, he will certainly save us from God’s condemnation. 10 For since our friendship with God was restored by the death of his Son while we were still his enemies, we will certainly be saved through the life of his Son. 11 So now we can rejoice in our wonderful new relationship with God because our Lord Jesus Christ has made us friends of God. WHAT A GREAT PRIVILEGE TO KNOW OUR WONDERFUL SAVIOR! MAY WE ALL SEEK TO KNOW and EXPERIENCE HIM MORE, EXPERIENCING HIS RIGHTEOUSNESS, PEACE, and JOY AS A RESULT! MAY HIS PRAISE EVER BE ON OUR LIPS! HE’S WORTHY OF NOTHING LESS!